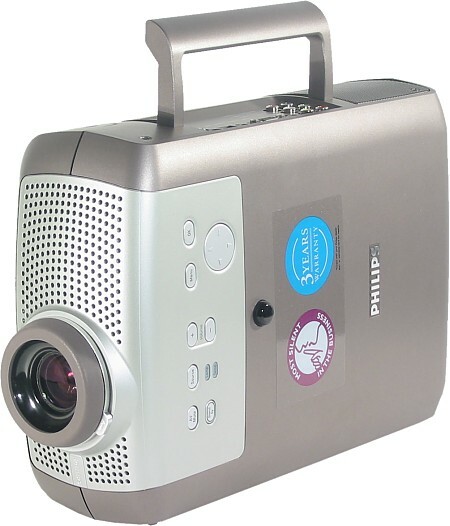 This quite inexpensive ($2,200) universal projector from Philips possesses pretty good characteristics. Probably, only the lack of low-brightness mode makes presentations its main target. There are also Brilliance packages, including bags and remote controls with integrated laser pointers. The projector has the plastic silvery-gray-brown body coupled with the light-silvery front panel. The IR receiver is shaped as a semitransparent cap above. Theoretically it should receive IR signals from any direction in the upper hemisphere. However, we couldn't check it, as we didn't have the remote control. On the right side projector has a fold-out handle, while there are 4 small legs on the left. 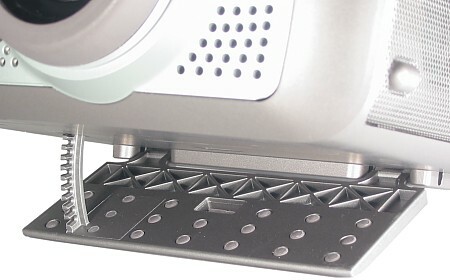 At work the projector rests on two rubber-covered legs behind and one wide fold-out front leg. Its release button is located on the right side. Such design won't let it slide along smooth surfaces, but remember that the height of the back legs can't be adjusted. The projector doesn't have threaded holes for corbels, so you have to use Philips' corbel for ceiling mounting. We didn't receive the remote control, and this picture is taken from the user guide. If you connect the RC to PC via USB or PS/2, it will let you control the mouse pointer and emulate buttons. The screen menu is simple and intuitive. It consists of four pages (Display, Picture, Audio and Settings). The Picture and Settings tabs are divided into two parts, and it takes some time to get to some of the settings. Besides, pointer buttons response is not prompt, and there's no faster way to switch from one tab to another. When you adjust image parameters, the screen menu remains on top - although it becomes semitransparent it doesn't let us clearly see the effect when we change the settings. The signal sources can be switched in turn with the Source button on projector's remote control. But this button is not always required, as input detection feature is enabled by default. You just need to connect the video signal source first and then turn the projector on. 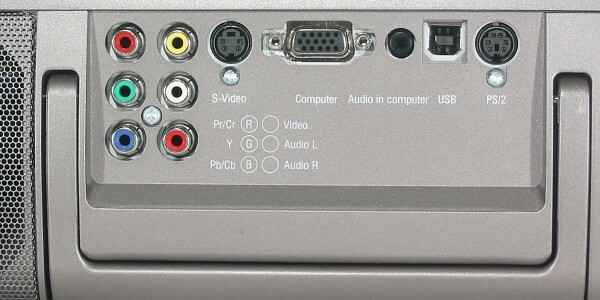 The video inputs offer good range: VGA (mini D-sub 15 pin), component, S-Video, composite. You can also connect SCART equipment, but for this you will need a SCART to 4 RCA adapter. The video inputs will have RGB signals applied and the composite input will receive synchronization signals. 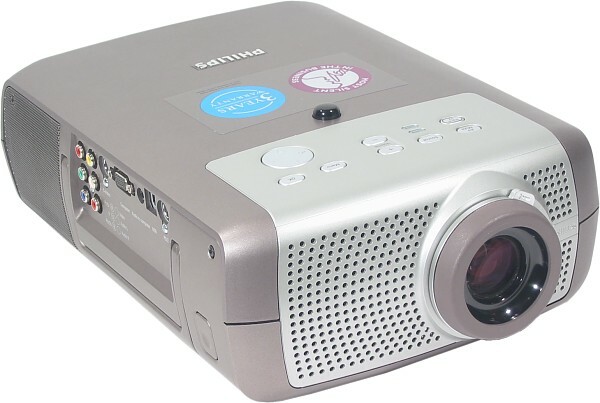 The projector lacks only a DVI input, but such video equipment is not that widespread today. 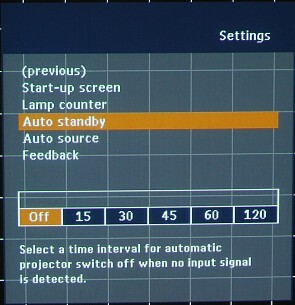 The automatic VGA signal adjustment is enabled by default, it works quickly and correctly. If necessary, the adjustment parameters can be corrected in the menu. The stereo mini jack audio-in is activated when the device is connected to PC. Otherwise the audio source is to be plugged into two RCA connectors. You can also connect an external monitor via optional VGA splitter. You will also have to change Monitor Out to On in the Settings menu. The outer rubber (extra protection) lens rim allows focus change, while the lens lever controls zooming. The lens is positioned relatively to the matrix, so that the image lower edge is 1/10 of image height above the lens axis. 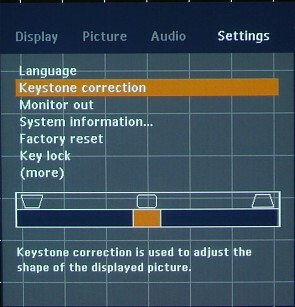 Vertical keystone distortions can be negated in the screen menu only. In the Picture menu the Picture Format item controls 5 image transformation modes: 4:3 - full-screen 4:3 format; 16:9 - widescreen; 16:9 enlarged - only the central 16:9 image part is displayed; 4:3 on 16:9 - 4:3 image is fit into a narrower window; 16:9 on 4:3 - the image is stretched vertically to remove black space in case of LetterBox-like image formats. 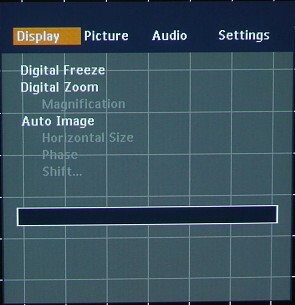 The current frame can be paused with the D-Freeze button on the RC or Digital Freeze item on the Display tab of the screen menu. The Digital Zoom (D-Zoom button on RC) enables digital magnification. Magnification defines the degree, while pointer buttons define area to be magnified. The A/V Mute button on the RC temporarily removes the image from the screen and turns off the speaker. In the Picture tab the Mirror item defines the projection type (front / in transient light / ceiling mount). As this is a long-focus projector, it can be situated behind the audience. 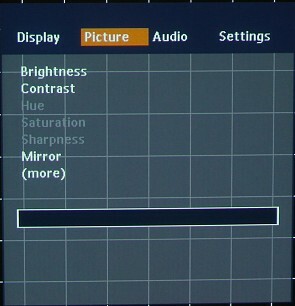 The image settings are few: brightness, contrast, hue (NTSC only), saturation and sharpness (two latter are not supported for VGA connection). Colour tracking allows color adjustment. The lamp's spectrum differs from the ideal one and, therefore, it needs to be corrected, which makes the light flux thinner. If the Colour tracking is set to vivid, no correction is made and the brightness is maximum, if it's natural the correction is maximum. 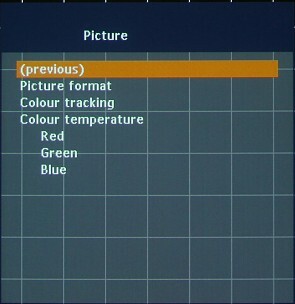 The Colour temperature also allows color adjustment (5 values, from warm to cool), so do the Red, Green and Blue parameters. There are no preset or custom profiles. Brightness, contrast and saturation remain the same for each type of connection. Other image settings are automatically saved in two profiles: one for VGA, the other for the rest. In the Settings tab the Key lock allows RC and projector buttons lock. To leave this mode press and hold the OK button for 10 seconds. On the same page you can disable the welcome image, screen text and enable the auto standby function. The light flux, contrast and lightness uniformity were measured according to the ANSI method. The light flux is not much lower than specified. The uniformity is satisfactory. The contrast is pretty good. The speaker is loud, and distortions are not strong. Well, its specified power is 6W, and the sound goes through hole in the upper plastic panel but through the hard metallic grill. 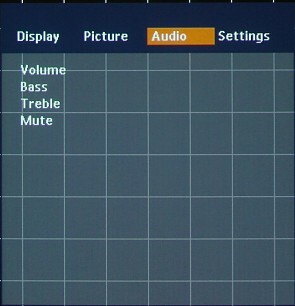 The volume level can be adjusted either with the buttons on the RC or on the projector's body or through the menu. You can turn off the sound in the menu or by button. The level of lows and highs can be adjusted only in the menu, though they are not of much use, taking into account the small size of the speaker. 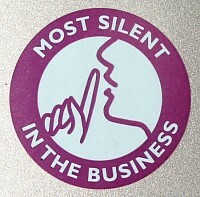 Moreover, it's the quietest projector we have ever tested in our lab. The projector was tested on the ASUS 9250VS under Windows XP Professional with Nokia Monitor Test 1 and 2. The PC was connected to the VGA jack via a DVI-VGA adapter with a VGA cable from the Samsung monitor. The white field looks uniform. On the black field we noticed slight color patterns and a couple of greenish stains. Above the image was a light band parallel to the upper edge of the screen. The border between pixels was pretty thin. The geometry was ideal. Any pixel grid could be perfectly reproduced. The gray scale had sufficient gradations, and at the Colour tracking and Colour temperature set to natural and cool there were almost no deviations from gray, only the lightest gradations were little yellowish (but it couldn't be corrected). The colors were bright, saturated and well balanced. The chromatic abberations made around 0.5 pixel, but in the lower right-hand corner the colors deviated by more than 1 pixel. The maximum vertical frequency at the original 800x600 resolution was 200 Hz (looked blurry above 150), at 1024x768 it made 140 Hz, at 1280x960 - 85Hz and at 1600x1200 - 60Hz. The tests were carried out with Pioneer's top-end DVD player, DV-757Ai, (~$1000) with 12bit/108MHz DACs and progressive scanning (NTSC). The component signal was applied with the 1m cable Supra AV3 (~$100/m, Sweden). We used high-bitrate DVD movies, Video Essentials DVD (NTSC) with samples of static and dynamic scenes and test tables, and a DVD-RW (PAL and NTSC; 8Mbps) with original test tables. The resolution was over 540 TV lines independently of connection. The color definition was 90 at the composite connection, 130 in case of S-Video and about 200 lines at the component connection reaching 270 lines (horizontal) with progressive (480p) video signal. The test tables with monochrome color fields and gradient fill had correctly rendered colors, were bright and had no artifacts. By adjusting brightness and contrast it was easy to make details in the dark and light fields look clear. The Sharpness hardly affected image in case of the component signal, but with the composite and S-Video signals the image looked sharp at the average Sharpness. At the minimal value the horizontal clearness looked a bit worse and at high values it got artifacts. The projector converted an interlaced signal into progressive using a simple algorithm. So there was a flicker on the static picture. In case of SECAM signal (TV video-out) the projector demonstrated stable and clear pictures with correct colors. We watched several DVD movie fragments of different quality to estimate the theater effect. In 4:3 format pixel grid didn't attract attention, but in case of 16:9 and over the vertical resolution seemed to be insufficient. The worst disadvantage in the theater mode was the relatively low black level. It's not because of contrast (200:1 is considered to be good enough for LCD projectors), but because of solid light flux useful for presentations in light rooms, but not for movies. A low-brightness mode would be nice, but it wasn't not supported. As a result, dark scenes looked too light, and the gray space above and under the 4:3 and over pictures spoiled the movie effect. However, there's a way to visually increase the black level. You should situate the screen as high as the image is to remove the gray fields, and lighten a little the space behind the screen, but not the screen itself. In this case the black color on the screen will look the darkest for you. 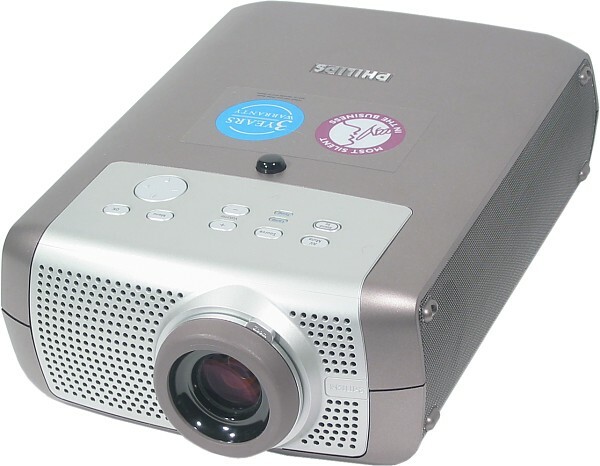 Let me separate the advantages and disadvantages of this projector for presentations and theater mode. The Philips bSure SV2 looks like a good presentations device, but the theater mode can't be considered its primary purpose.